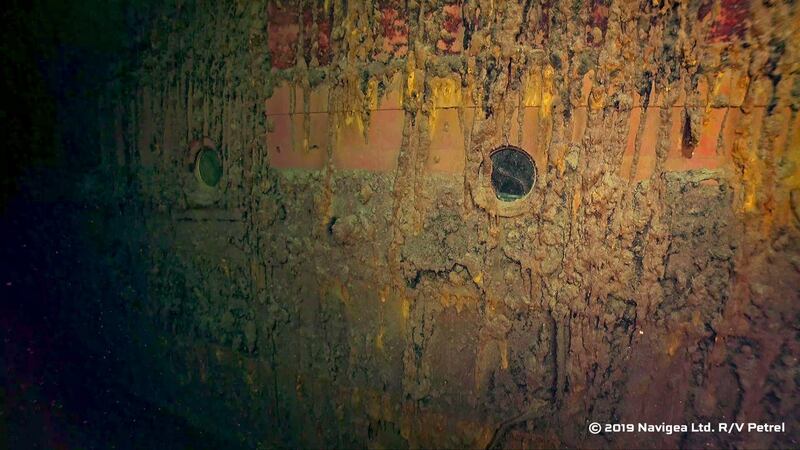 A team of researchers from the organization started by billionaire philanthropist Paul Allen found the wreck of the first Japanese battleship sunk by the U.S. Navy during World War II. The Imperial Japanese Navy ship Hiei was found lying upside down on the sea floor about 2,952 feet below the surface, more than 76 years after sinking in waters northwest of Savo Island in the Solomon Islands chain, according to an Instagram release from the team aboard research vessel (R/V) Petrel. 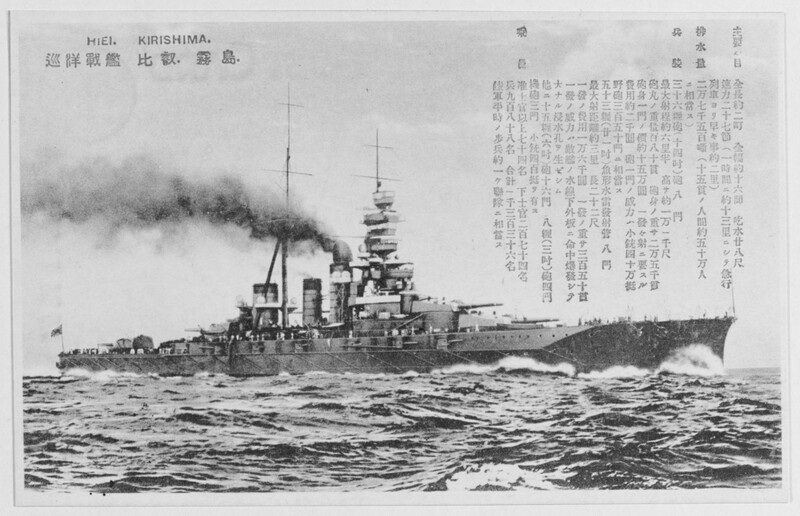 Japanese Imperial Navy Ship Hiei. US Naval History and Heritage Command photo. During the battle of Guadalcanal on Nov. 13 and 14, 1942, Hiei was part of a Japanese task force that engaged in close-range battles with U.S. Navy ships led by Rear Adm. Daniel J. Callaghan aboard heavy cruiser USS San Francisco (CA-38), according to the U.S. Naval History and Heritage Command. At one point during the battle, which was waged during the middle of the night, Hiei almost collided with U.S. destroyer USS Laffey (DD-459). The two ships fired on each other as they passed within 20 feet of each other, according to Naval History and Heritage Command. Laffey would sink during the battle. Hiei is believed to have been severely damaged by salvos fired from San Francisco, which also received critical damage, including a hit to the bridge that killed Callaghan, his staff, and ship commanding officer Capt. Cassin Young, according to Naval History and Heritage Command. By daybreak, Hiei was reported 30 miles northeast of Savo with “forward turrets smoking and aft turrets dangling,” according to the Naval History and Heritage Command. A light cruiser and four destroyers reportedly accompanied Hiei as it steamed away. Multiple sorties of Grumman TBF Avenger torpedo-bombers, Douglass SBD Dauntless dive bombers and Grumman F4F Wildcat fighters flew from USS Enterprise (CV-6). Even a B-17, flying from the island of Espiritu Santo, dropped a 500-pound bomb on Hiei, according to the Naval History and Heritage Command. Hiei was reportedly last seen by U.S. Navy forces at 6 p.m., about five miles northwest of Savo, on fire and offloading crew to three Japanese destroyers nearby. The battleship sank at some point during the night, with 188 crew members killed in action, according to the Naval History and Heritage Command. Allen, who died in October, was a co-founder of Microsoft, owner of the Seattle Seahawks football team and long-time philanthropist who for years funded ocean and wildlife conservation efforts and searches for World War II-era shipwrecks. Perhaps his team’s most noteworthy find was the 2017 discovery of wreckage from USS Indianapolis (CA-35), which sank in the South Pacific on July 30, 1945, after delivering the components for the atomic bomb dropped on Hiroshima.